El Niño has officially come to an end, according to the Bureau of Meteorology (BOM). In an announcement this week, the BOM noted that its outlooks suggest that it is unlikely a return to El Niño is on the horizon. “Outlooks suggest little chance of returning to El Niño levels, in which case mid-May will mark the end of the 2015/16 El Niño,” the BOM said. 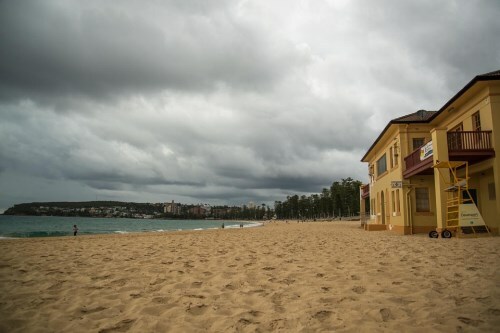 However, the BOM noted that Australia could need to brace itself for La Niña, which typically means heavy monsoons, more winter-spring rainfall over northern, central and eastern Australia and a more active cyclone season. “International climate models indicate the tropical Pacific Ocean will continue to cool, with six of eight models suggesting La Niña is likely to form during the austral winter (June/August),” The BOM statement continued. “However, individual model outlooks show a large spread between neutral and La Niña scenarios. “Changes in the tropical Pacific Ocean and atmosphere, combined with current climate model outlooks, suggest the likelihood of La Niña forming later in 2016 is around 50%, meaning the Bureau's ENSO Outlook remains at La Niña WATCH. Ashley Alder, CEO of the Securities and Futures Commission (SFC) of Hong Kong and Vice Chair of the IOSCO Board has been appointed as the new chairman of the board of the International Organization of Securities Commissions (IOSCO). He will replace Australian Securities & Investments Commission (ASIC) Chairman Greg Medcraft, reported ASIC. According to the IOSCO website, the organisation is the leading global standard setter for the securities sector. Its membership regulates more than 95 per cent of the world’s securities markets in more than 115 jurisdictions. “IOSCO plays a critical role in setting and implementing international capital markets policy – policy that affects Australia and that ultimately affects the lives of Australians. That is why I was involved in IOSCO – it was important to have an Australian looking out for Australia,” said outgoing IOSCO chairman. According to the ASIC website, Medcraft’s accomplishments during his three years of leadership include the reinforcement of IOSCO’s position as the key global reference point for securities markets regulation; and IOSCO’s work increase on risk identification and mitigation, including developing standards and guidance. Major broker Arthur J. Gallagher (AJG) is set to be promoted to the Standard & Poor's 500, replacing beverage manufacturing and bottling operation giant Coca-Cola Enterprises in the index. The Illinois-based insurance brokerage and risk management services provider will be added to the S&P 500 global industry classification standard insurance brokers sub-industry index. In the S&P MidCap 400, AJG will be replaced by Education Realty Trust, a real estate investment trust based in Memphis, Tennessee that develops, acquires, owns and manages collegiate housing communities located near university campuses. Education Realty Trust will be replaced in the S&P SmallCap 600 by American Axle & Manufacturing Holdings, a manufacturer of automobile driveline and drivetrain components and systems that is based in Detroit, Michigan. All the reported changes will be effective after the close of trading on Friday, May 27, when Coca Cola Enterprises merges with Coca-Cola Iberian Partners SA and Coca-Cola Erfrischungsgetränke AG. The merger will result in the formation of a new company called Coca-Cola European Partners Plc. The deal is expected to be completed on Friday pending final conditions.